All-Energy, held in Glasgow annually, is the UK's leading renewable energy exhibition and conference. Each year, All-Energy brings together the latest technologies and thought leaders worldwide. The conference attracts visitors from a variety of sectors within the renewables industry including onshore & offshore wind, bioenergy, wave & tidal, sustainable cities heat transfer and energy efficiency. All-Energy offers structured networking opportunities to help suppliers establish relationships and secure business on a global scale. Protecting and enhancing the environment sits at the heart of sustainability. With the growing awareness that the built environment accounts for nearly half of the UK’s CO2 emissions; innovative, green solutions for designing, constructing and using buildings are in urgent demand. 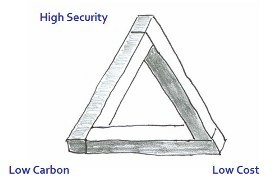 ICAX answers that demand by providing Interseasonal Heat Transfer which heats buildings in winter without burning fossil fuels. Surplus solar energy is captured by Solar Thermal Collectors and stored in ThermalBanks in the summer for release into buildings in winter using a ground source heat pump. 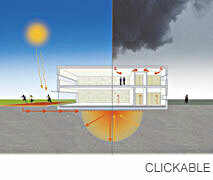 ICAX can help you achieve sustainability in the built environment by exploiting Seasonal Thermal Energy Storage. Most of the CO2 emissions in the UK come from buildings, with the majority coming from burning fossil fuels to provide heating and hot water. The clearest route to reducing carbon emissions is to stop combustion. This implies the Electrification of Heat – and using heat pumps to arrange heat transfer from the ground in place of combustion. The case for using ground source heat pumps increases each year with the decarbonisation of the grid. It also increases greatly for buildings that need cooling in the summer as well as heating in winter – because summer heat can be stored in the ground and then recycled back to the building in winter. The use of heat pumps for heating also opens up large opportunities for Demand Side Management. District heating networks can be a very effective mechanism for reducing carbon emissions from heating and cooling buildings, especially if based on heat sharing networks with each building on the network drawing heat from a communal network as it needs heating – and rejecting heat to the communal network as it needs cooling: Fifth Generation District Heating Networks. and by employing "demand side response" to focus on using off-peak electricity. Conference sessions including high profile debates on key policy issues like ground source energy are hosted in two major arenas. Six seminar zones focus on topics such as building products and design, building performance and BIM, refurbishment and retrofit, future cities, and green infrastructure and energy. Innovate UK is organising a set of presentations from companies whose projects it is contributing to at the All-Energy Conference on 15 May. Come and learn how others plan to achieve a low carbon future. The City of Glasgow is hosting the All-Energy Giant Networking Evening at the Glasgow Science Centre on 15 May 2019 to encourage the exchange of new ideas on renewables. Edward Thompson of ICAX spoke on "Joined-up Heating and Cooling" at All-Energy. 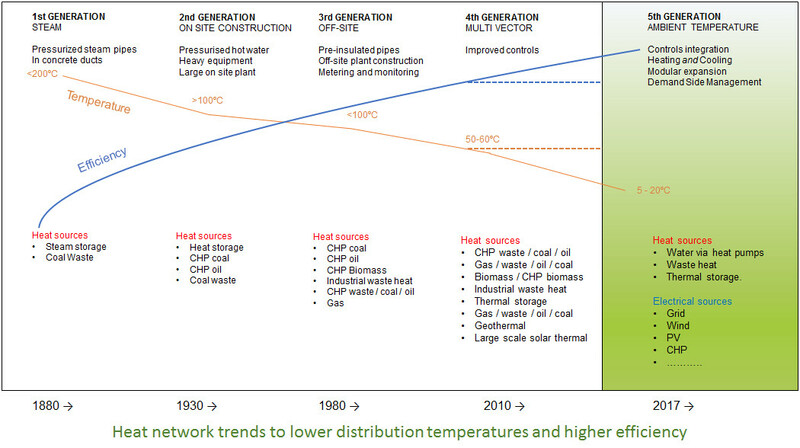 See why "There is more to district heating than CHP".